Winchester School of Art students have transformed their campus into a huge exhibition space, throwing open the doors to the public for their 2011 undergraduate annual degree show. The event between 17 and 23 June at the city’s Park Avenue campus shines a light on the creative talents of hundreds of students in Textiles, Fashion and Fibre; Fine Art; and Graphic Arts. Exhibition pieces range from challenging sculpture, painting and photography, through to attractive wallpaper prints, fabric and stunning fashion designs. 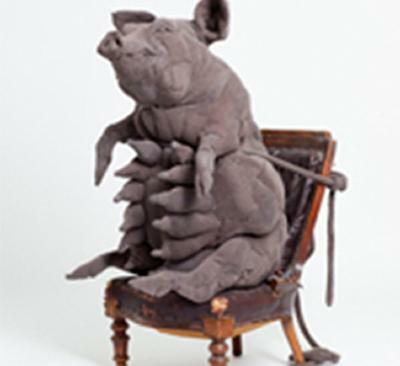 Sculpture student Dorcas Casey is displaying a collection of life-sized, hand-stitched animals inspired by an exploration of her dreams. 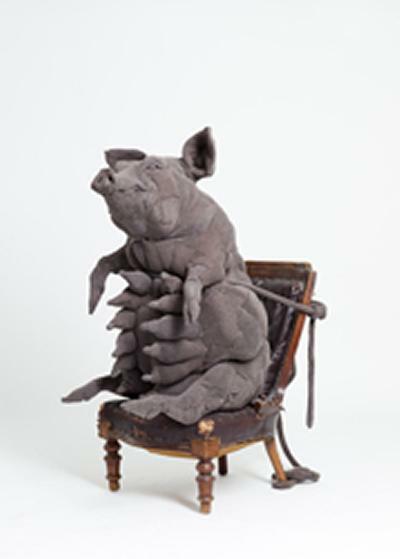 Particularly striking is a stuffed-fabric pig seated on a Victorian chair. More hi-tech is the work of Graphic Arts student Josh Fletcher who has produced a stereoscopic 3-D stop motion film, designed to show typography on the pages of a book brought to life. Dozens of collections from fashion students will also be on display – fresh from success at their recent catwalk shows in Winchester and London. Visitors are welcome to view the degree show at Winchester School of Art, Park Avenue, Winchester from Friday 17 June: Monday – Friday 10am -8pm, Saturday and Sunday 11am – 4pm.